Little should bother Scott Robertson when he kicks back and soaks up the rays in Fiji the coming week. 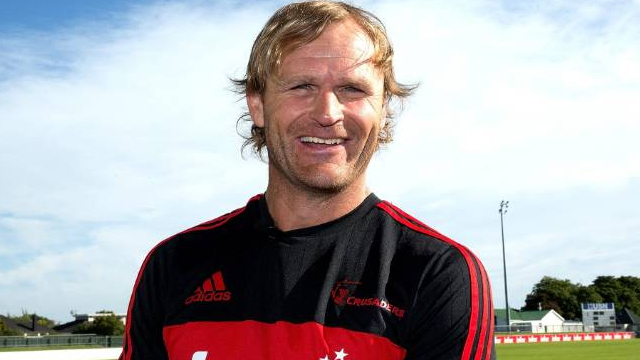 The Crusaders' head coach can relax knowing his team has hit the halfway mark of the season not just in control of the New Zealand conference, but with arguably the toughest stretch of the regular season behind them. Robertson says it is a nice time and when they looked at the draw initially, they thought 'nine games in a row, and they are the last team to have a bye. He says but, actually, it has been quite good for them in a lot of ways because with the All Blacks' resting policy, they have had to rotate and it has been great for their All Blacks. The Crusaders lead the Super Rugby points table with 34 points, the Bulls are second with 23 points while the Rebels are third with 23 points as well.